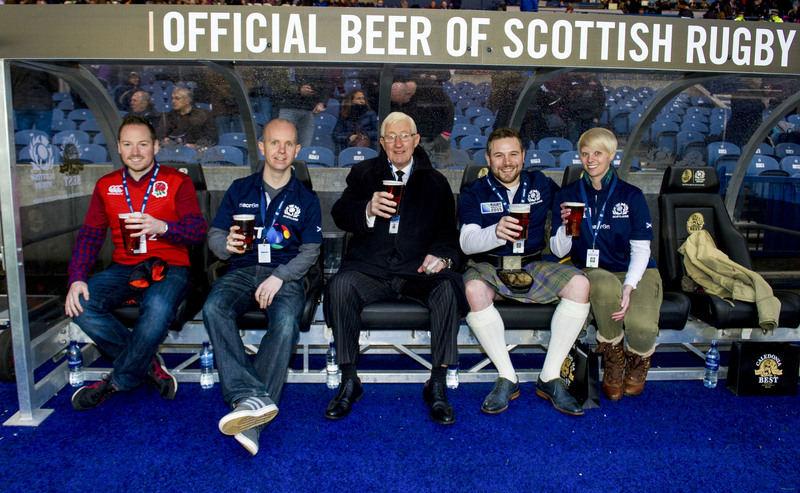 Caledonia Best, the official beer of Scottish Rugby, is giving rugby goers the chance to win a once-in a-life-time prize to sit trackside in the Best Seat in the House for Scotland’s RBS 6 Nations encounter against France. Vern Cotter’s men welcome the French to BT Murrayfield in confident mood after a convincing victory against Italy and one lucky Scotland fan will win the chance to get up close and personal to the action thanks to Caledonia Best. Along with three mates, they will experience international match day with a Scottish rugby legend by walking out of the BT Murrayfield tunnel before taking their seats trackside in the exclusive Caledonia Best dugout, just yards away from the Scotland bench. With staff on hand keeping the winners refreshed with beer and pizza throughout, the Best Seat in the House is the ultimate way to Watch Caledonia at its Best.